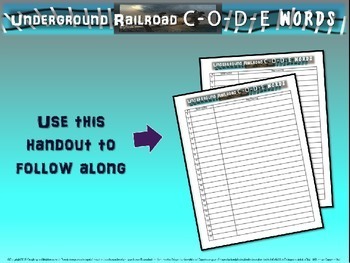 This download includes both the 30-slide PowerPoint AND the graphic organizer handout in PDF and MS WORD format. Answer key is included as well. 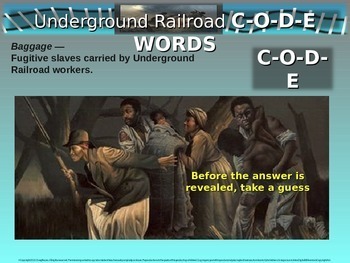 The PowerPoint introduces 25 code words associated with Harriet Tubman and the Underground Railroad. 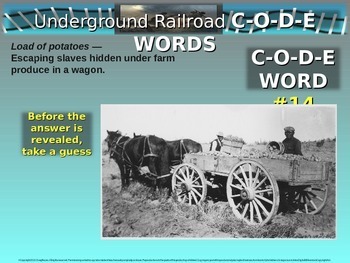 Each slide offers the code word, a visual, and then the answer is revealed at the click of the mouse to allow for students to take guesses or discuss as directed. 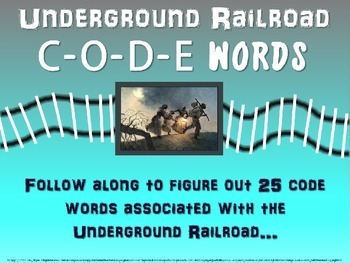 They create a visual for one of ten "Code Phrases" at the end as well. Enjoy!